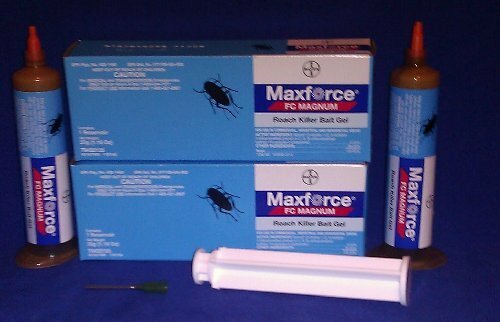 In this section, you will find our reviews for the best cockroach killers on the market in 2018. Are you sick and tired of seeing roaches? Roaches are some of the most common pests and are typically one of the most hated disgusting pests on earth! There are more than 3,500 species of roaches worldwide, and there are 55 types of roaches in the United States alone, but most people tend to struggle with the German Cockroach. American Cockroach, or Brown Banded Cockroach. Want to eliminate this nasty pest? Keep reading as we breakdown our simple (but effective) approach, and give you all the information you need when searching for products that work. Want to skip all this research and just hire a decent exterminator to kill your cockroaches? The scariest thing about roaches is that they prefer to live in the same conditions as us. They’re one of the most adaptable bugs in the world and can live almost anywhere that has food, water, and shelter. You never really know how many roaches are actually living with you (or near you) for these reasons. All roaches will scavenge leftover food. They can even eat wallpaper when food is scarce. Not only will you see these disgusting pests scuttling around your living room, there’s also a horrifying reality that you need to face. In larger infestations, roaches can crawl onto your face when you’re sleeping to eat the residual food on your skin. If they get on your face, they’re sure to release secretions and leave feces behind. Can this really be true? If you have a large number of roaches, the chances are some will crawl onto you when you’re sleeping. You’re in a never ending battle and they’re so hard to kill. The best roach killing strategies are composed of four parts: Traps, Baits, Sprays, and Growth Regulators. Roach Traps: If you have a roach problem, the first thing you should do is lay down a couple of traps to give you an idea of where your problem might be hiding. Roach Baits: After you place roach traps and wait a bit, you should have an idea of where your roach problem is coming from. Next you'll want to drop a couple cockroach baits near the most infested areas. Roach Sprays: Now that you know where your roaches are coming from and your baits are placed, you can begin applying roach killing spray in the cracks and crevices of your house (under fridge, baseboards, door frames, window frames, etc). Be mindful NOT to apply the spray where you placed your roach baits. The spray will contaminate the bait and repel any roaches that would have otherwise eaten it! Insect Growth Regulators: The last prong in our "4 Pronged Approach" consists of using a form of roach birth control called "Insect Growth Regulators" or IGRs. Any effective roach killing strategy will require the use IGRs to disrupt the reproduction of roach babies. If you think you might have a roach infestation, and you want to deploy our 4 pronged approach, check out the products listed below for each category. Also, make sure to clean the infested area EXTREMELY well. In order for any roach treatment plan to be effective, your house needs to be clean and tidy, free from any food that would otherwise distract them from the baits. What Are Your Cockroach Killing Options? As mentioned above, best roach killers use either a bait, trap, or spray aerosol. Some kill roaches on contact and will give you fast results for smaller roach problems, whereas others take a little longer, but roach colonies are entirely beatable. Regardless of what killer you use, preventative measures are always better than trying to find a cure for roaches. You should make sure that you secure and remove leftover food from tables and counter tops, and that your house is kept clean. If the conditions are unfavorable for roaches, fewer will bother you. Remember, the best way to manage the infestation is with a combination of traps, dust and baits with residual insecticides. Any effective roach killing plan will monitor infestations with the traps, and kill them with IGRs and baits. When you're trying to kill cockroaches traps might be one of your best friends. Ideally, you wouldn't use a cockroach trap to eliminate an entire population, but rather monitor cockroach activity in your home or the surrounding area. The roles cockroach sprays play are also more in line with defensive measures to help create invisible cockroach barriers around your home. You would likely use a roach spray in conjunction with other cockroach killing methods. 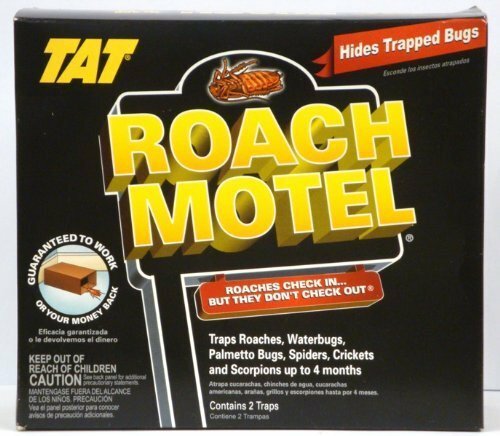 As opposed to traps, cockroach baits are an extremely effective method or roach elimination. Most of the baits have delayed reaction times, which help spread the poisons within each bait throughout the colony. When traps are used more for monitoring, baits are better for corrective solutions. Perhaps one of the most important parts of cockroach elimination are the use of IGRs. IGRs are meant to disrupt roach reproductive life-cycle. In order to stop new roach babies from being born, you'll need IGRs, which sometimes are included in other products but not always. As opposed to sprays and baits, traps act more like monitoring devices to help find and detect cockroach infestations. Once the traps capture some roaches, the homeowner can then deploy traps in that area to combat the issue. Below are our top roach trap picks. Why it's the best: Blackflag is suitable for small- to medium- sized roach infestations. We really like the clever mechanism to hide the roaches it catches, which keeps the area around the trap tidy and makes it easier to dispose of dead roaches. 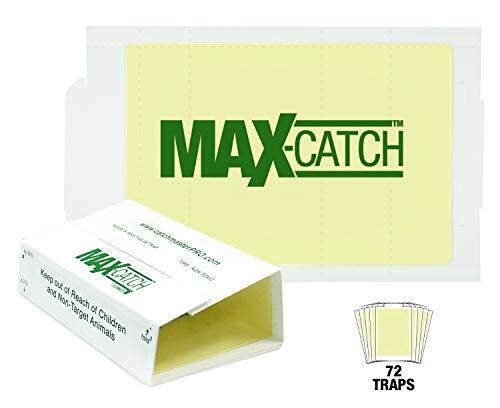 Why it's the best: Catchmaster uses a bait and a strong glue coating on its surface to trap roaches. This is a non-toxic option and doesn’t release any odors. You can expect to catch pretty much anything in this trap, from snakes to roaches, this is a great monitoring device with an irresistible peanut butter scent. What should you know about cockroach traps? Traps are good for finding out where roaches are coming from. You can also use traps as a tool to monitor how successful your other products are performing. The surface of the trap is covered with a strong adhesive to capture you bugs as they crawl across it. Most pests can’t escape and will die within a day or two. What are roach traps good for? Traps are great for finding out where your roaches are coming from and how big your problem really is. If you find that a lot of roaches are stuck to the trap in one part of the house, it's a good indicator that your problem must be coming in from that area. Traps work well if you have a small number of roaches inside your house. Any significant infestation might require professional help. Click here for our tool to find a decent exterminator in your area. What are roach traps NOT good for? The biggest disadvantage of traps is that they’re useless against larger infestations. Roaches may overwhelm the trap or escape. They’re also high maintenance (aka you need to keep replacing them with fresh traps). The bugs don’t die instantly and sometimes it’ll be up to you to kill them. Baits combine a delayed-action insecticide with an attractant to lure the roaches in. Roaches get poisoned when they touch or eat the insecticide and they take some insecticide back to their colony. Our top picks are listed below. Why it’s the best: Advion uses a gel with indoxacarb, a long range and delayed-action insecticide. This works well on large infestations. A single roach can poison up to 40 others. Advion works well against some of the more resilient roaches and those that have developed resistance to other roach killers. You can use Advion both indoors and outdoors and it’s one of the best roach killers that use a bait. Why it’s the best: Invict is a gel that uses Imidacloprid to specifically kill German roaches. You apply the gel using a syringe into the cracks where roaches may be hiding. Expect to see several dead roaches within 24 hours. It’s a perfect product if you are struggling with German roaches and Advion has been ineffective. Why it's the best: Maxforce is a concentrated gel that has up to five times as much fipronil as other baits. This works well against large infestations and bigger roaches. 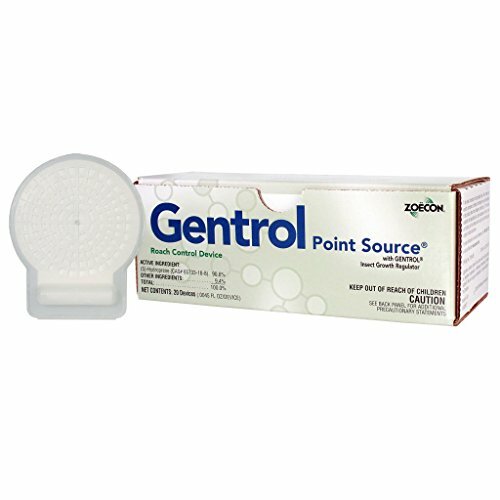 The gel kills by contact or ingestion and you can use it both indoors and outdoors. What should you know about cockroach baits? The poison cockroach bait spreads (and kills) via secretions and feces in the cockroach nest. Eventually, more roaches are poisoned and more die. Baits are one of the best ways to control an infestation. There are several types of bait that you can buy including bait stations, gels, and granules. You place the stations in strategic places around the house where you think the roaches are coming from. Some stations use a liquid gel attractant. Gels work better on the cracks along the wall and provide both a seal and a poison. Granules are larger and are better to use outdoors. You can use baits both indoors and outdoors. But, they tend to be better inside where you have more of an idea of where the roaches are coming from. What are roach baits good for? Baits are consistent and work over a period of time to destroy the nest. This is the best way to kill most of them and to stop them from reproducing and returning. What are roach baits NOT good for? Don’t expect to see an instant reduction, but you should start to see results in the first few days. Roach baits work like a "domino effect". The more roaches that touch or eat the bait, the more that insecticide spreads in the nest. Also, baits won't be effective if you don't place the baits near the infestation. Placement still requires a little understanding of where they are infesting. Don't worry, finding their hangout spots can be done relatively easily with roach traps (see below). Sprays come in two forms. You can buy a residual spray that leaves a film of insecticide or non-residual contact killers. Both types are sprays you'd use around your house to stop the roaches from coming inside or kill roaches on contact. Below are our top roach spray picks! Why it's the best: Demon is an odorless spray that uses Cypermethrin as a powerful contact killer. You can use this for large scale infestations in both your home and larger commercial spaces. This is one of the best roach killers that use a spray. Expect to see an instant reduction of roaches and additional roach reduction for up to three months following. 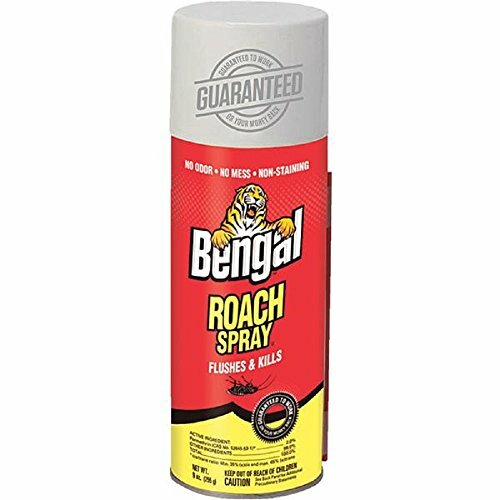 Why it's the best: Bengal is an odorless and non-staining spray that kills roaches and other pests within a short period of time. Residual spray can impact roaches for up to four months and it’ll work against medium- to large- infestations. Bengal also has a low toxicity and is child and pet-friendly. Why it's the best: Raid has a good reputation for being a high-quality bug killer. Raid works as an odorless contact killer against roaches and other pests. You can use this low maintenance and easy to use spray both indoors and outdoors against any level of infestation. What should you know about roach sprays? The most effective treatment uses a combination of both residual and non-residual sprays. Use a residual spray to create a layer of insecticide in the room. Spray a contact killer in the places that they’re hiding. The noxious particles make the roaches scatter and flushes them out from hiding and right onto the residual insecticide. Sprays are a good tool to fight against roaches, but they also have limited application and when used alone aren’t the best roach killers. This is mainly because they don't spread throughout the colony well, and they do not come with the required chemicals to disrupt reproduction of NEW roaches (use IGRs for that). Remember that when you use a roach spray to avoid any baits you've put down. Instead, spray the cracks and crevices in your house with residual roach sprays and lay down a couple baits. When the roaches leave their hiding spots, they'll crawl through residual chemicals as well as feast on the poisonous baits. It’s also worth pointing out that some sprays leave an unpleasant chemical odor and can stain furniture, and aren’t usually pet- or child-friendly. What are roach sprays good for? The best thing about sprays is that they’re fast acting and kill the roaches quickly. Compare this to baits where you have to wait a few days or even weeks before they start to work. That’s why sprays tend to be people’s first "go-to" for instant results. Unfortunately, those folks tend to learn the hard way that sprays alone will not completely eliminate their roach problem. What are roach sprays NOT good for? You’re never going to kill the entire colony by using sprays. It may seem like it’s having a huge impact because you’re killing some roaches outright, but you should remember that roaches have a fast rate of reproduction and they hide themselves well. Sprays work well as a barrier treatment and in conjunction with other treatment options such as baits and traps. Unlike sprays, baits, and traps, IGRs are great for disrupting the reproductive cycle of your roach population. You can think of a IGR as roach baby birth control interrupting the larvae and egg stages of the roach life cycle. See below for our top IGR picks. Why it’s the best: Gentrol is one of the top IGR products on the market for roach control. It's low toxic, easy to use, and can be placed vertically or horizontally around your house. Each product comes with an adhesive backing you can stick almost anyway (out of reach of children). It's a non-spray variation that you just need to press down on the product to activate. 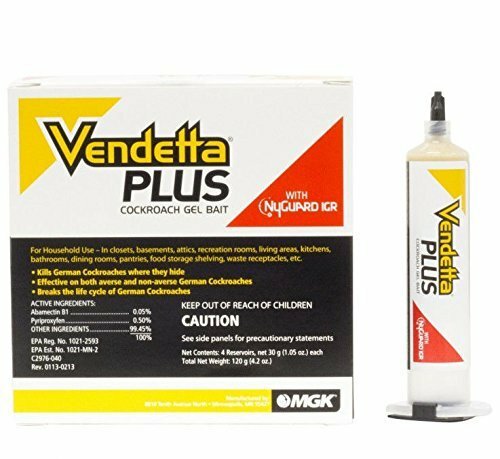 Why it’s the best: Vendetta Plus is one of our favorite roach control products mainly because it combines a bait with an IGR. 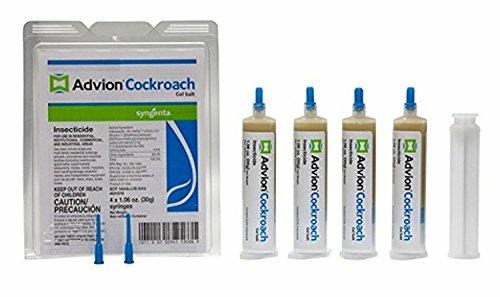 It works similar to Advion as a gel, but for roaches that do not die from the initial does of bait are unable to reproduce providing an additional layer of elimination for stubborn infestations. What are roach IGRs good for? As we mentioned, IGRs are what you turn to stop roaches from making babies and continuing to populate your house. What are roach IGRs NOT good for? IGR's main purpose is to eliminate the reproductions of roaches, not to kill already adult roaches. That being said, IGRs are not good as the sole roach control product in your arsenal. To quickly and effectively eliminate roach populations, IGRs should be combined with the other roach killing options we've mentioned in this guide.